Ronald Reagan once famously said that the nine most terrifying words in the English language are: “I’m from the government and I’m here to help.” I’m betting a leadership team in Denver isn’t feeling particularly well served right now. It is hard to imagine a situation more untenable than the one faced by all of the constituencies involved in the Chipotle situation. As well, it is incomprehensible that anyone could have intended this outcome where no one’s interest seems to win. Put simply, employers are faced with a choice between least bad options. Employment is often the magnet that attracts individuals to reside in the United States illegally. The purpose of the employer sanctions law is to remove this magnet by requiring employers to hire only individuals who may legally work here: U .S. citizens, noncitizen nationals, lawful permanent residents, and aliens authorized to work. To comply with the law, employers must verify the identity and employment authorization of each person they hire, complete and retain a Form I-9, Employment Eligibility Verification, for each employee, and refrain from discriminating against individuals on the basis of national origin or citizenship. I sense that the magnet is still pretty strong, and hope that someone stops with the metaphors and starts to help us. A very small percentage of businesses willfully hire employees with knowledge they are not legally authorized to work. Most of us would gladly assist in the enforcement of the laws in play here if we had effective tools and a climate of cooperation rather than what seems a bit like “gotcha” enforcement actions. So what are your options when it comes to meeting I-9 requirements? Stay the course and hope; this is what the majority of small to medium size businesses are doing. If you choose this route, you’ll want to get reacquainted with your employee on-boarding process and get really familiar with the form I-9 and its nuances. The IRS should send you a list of invalid SSNs or name mismatches in your quarterly payroll reports. Often this is the first indicator that you may have a problem. A call to an immigration attorney is your best first step. Use an electronic I-9 process; this is the emerging trend for employers seeking to demonstrate a proactive stance toward compliance and keeping the nice gentlemen from ICE from visiting. A full 50% of paper based I-9 forms have some error and 20% of those errors are substantive in nature. Credentials that expire over time are a particular challenge and can create a significant administrative burden. The use of an electronic form and process eliminates administrative errors, dramatically reduces the major exposure, and creates efficiency. 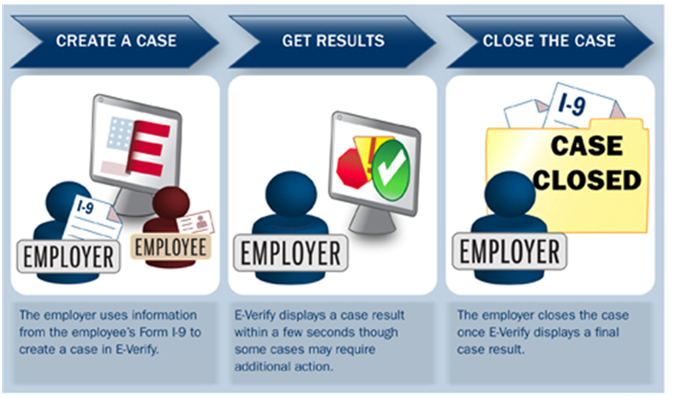 Participate in E-Verify; clearly not without flaws but the best we have available. By combining your electronic I-9 with a connection to USCIS you have at least in theory and end to end system. By registering with USCIS and using the E-Verify system an employee’s work authorization status will be verified instantly. Notice we said employee…..We meant that; you may NOT use E-Verify for pre-employment screening. Do all this and you are safe right? Not on your life! Yet it still must be done. So here we present a shameless plug for Audit Advantage™ from Proforma Screening. All cynicism aside, Audit Advantage truly provides all the features your company needs to ensure worker eligibility and compliance with I-9 form and documentation requirements. It’s simple to use and integrates easily with your existing HR system. 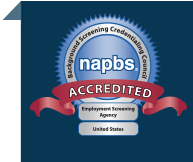 Our clients use it as part of their overall employment screening program alongside our E-Authorize program. Check it out here.